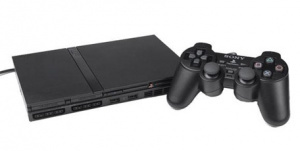 Solution To Backwards Compatibility: PS2. Remember when the PS3 had no games? Yeah, that was your ammunition. Remember when the PS3 was too expensive? Yeah, that was your ammunition. Now those things have been rectified though, it's time to bemoan the lack of backwards compatibility. Seriously guys, you better go out and buy the XBOX 360 instead, because we're sure that system lets you play your PS2 games. Ever since the PS3 Slim was announced on Tuesday we're mainly heard a singular phrase from a large minority around t'Internet. "So, still no backwards compatibility?". We're really curious to know what the complaint would be if it did have backwards compatibility, but it looks like we'll never find out. Sony's John Koller says it ain't ever coming back. We have the solution for everyone who wants to play PS2 games. It's rather simple. It's rather easy. It does take up a bit of space (not much mind) but it's reasonable. It's called a Playstation 2.